Truth: Inspiration of most our products actually comes from the simple goal of enhancing our personal experience. Through the development phase of Mountie, we were pretty focused on how we can spend more time on the couch. Before Mountie, working with multiple screens restricted use to a desk. Now, say hello to my cozy chair in front of the fire. 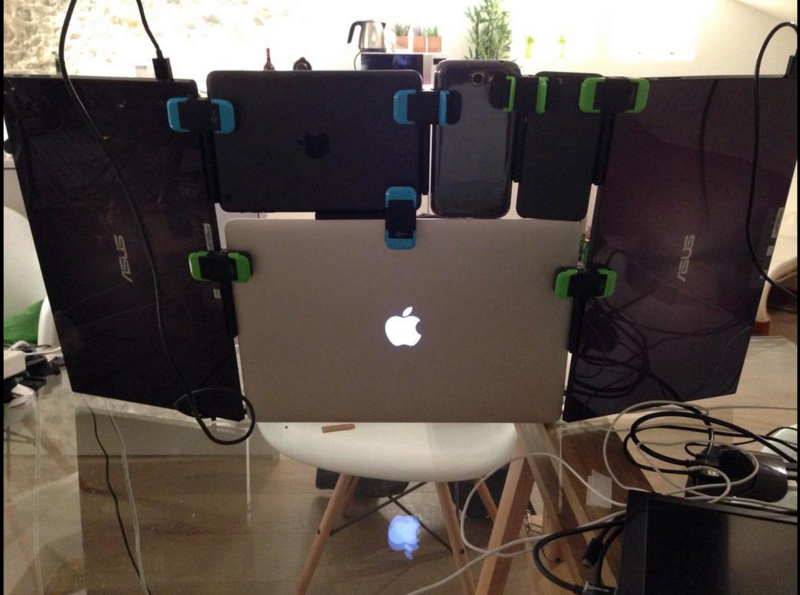 As it turns out having mobile dual screens is much more versatile then we initially imagined. So, here’s a list of all the places I’ve used #mymountie. 2. Home: Let’s be honest, when you’re home you want to use your favorite devices. So go for it. Let Mountie free you to use whatever devices your bound to, wherever you want. 3. Coffee shops: After a few years of working from home, mixing up the environment with a morning trip to a local shop is refreshing. For a while, I was a bit sheepish about actually setting up Mountie while at a coffee shop, I couldn’t help but feel a little bit like this guy. 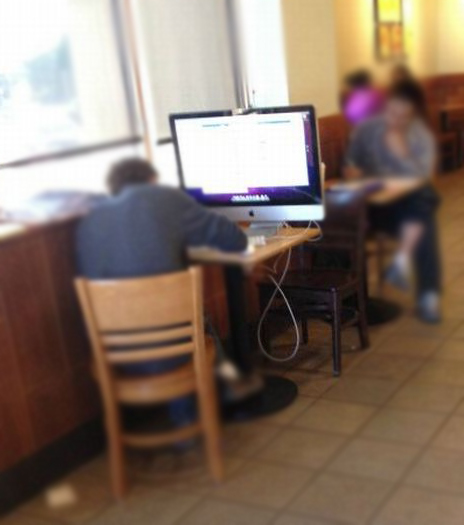 Then I got over it because having dual screens at a coffee shop is #awesome. 4. Planes: We’ve all been there. Space is limited to essentially what you can hold with your hands. Every time I fly, I’m torn between trying to get some work done on my laptop and just chilling out with a show on the iPad. It’s a tough decision, especially since iPads are now allowed during take-off and landing. Now, the choice is easy, start with a show, add some work while at cruising speeds, end with a show. #perfect. Whether 30 min or 5 hours on the plane, getting a second screen set-up and turning that all so boring flight into both a productive time, #bonus. If you’re in the market for new "on the go" gear for the plane, try the new 12” Macbook + iPad mini + Mountie. 5. Hotels - whether you’re on vacation or #ontheroadagain, it’s great to be able replicate that environment that helps you get into the zone. Sure, it’s not the office, but I bet you find yourself itching to volunteer for the next work trip that pops up just so you can try it out. 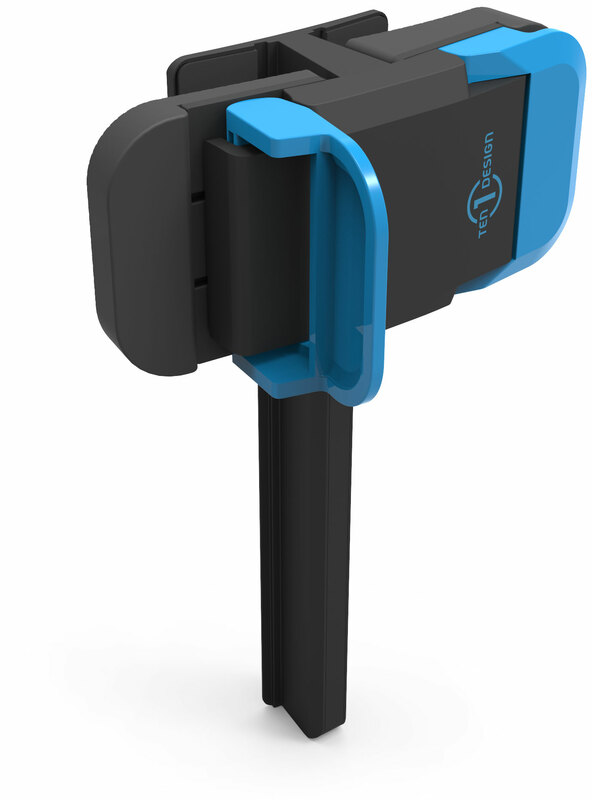 Whether you want to add one screen or five, Mountie is the ideal tool. Go ahead, give it a go. #mymountie + your favorite location and let us know where you love using your Mountie.